By definition, an entrepreneur is someone willing to start any sort of enterprise, regardless of the intimidating risks involved. Who better to live up to that definition than a singer, songwriter, musician, patent owner, startup founder, and father? 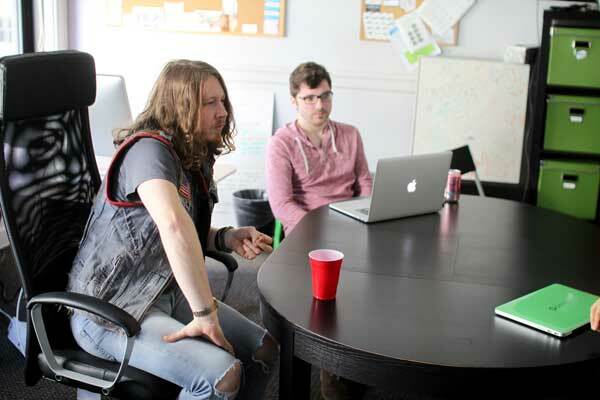 Meet Ben Kweller. Music was the first spark to Ben Kweller’s entrepreneurial spirit, and it was ignited by his father. When Ben was around seven years old, his dad introduced him to the drums, teaching him basic, rhythmic patterns. For around a year, the two played nine or ten songs when he got home from work, gradually exposing Ben to hits by Jimi Hendrix, The Beatles, Nils Lofgren, and The Hollies, many of whom became inspirations. 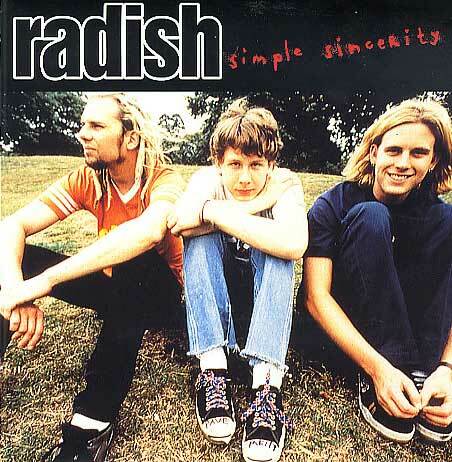 Album art for Radish’s "Simple Sincerity"
Radish, Ben’s first band, was formed in 1993. Quickly fast-forward a few years to ‘96, and they were signed to Mercury Records, who released their first major album, Restraining Bolt. But at the age of fifteen, Ben found his fate guided by higher-ups. The label made decisions for him on all matters. It was as if his musical style and appearance, even his future, was in their cash-concerned hands. Eventually, the band disbanded, and Ben began making inroads into solo work. 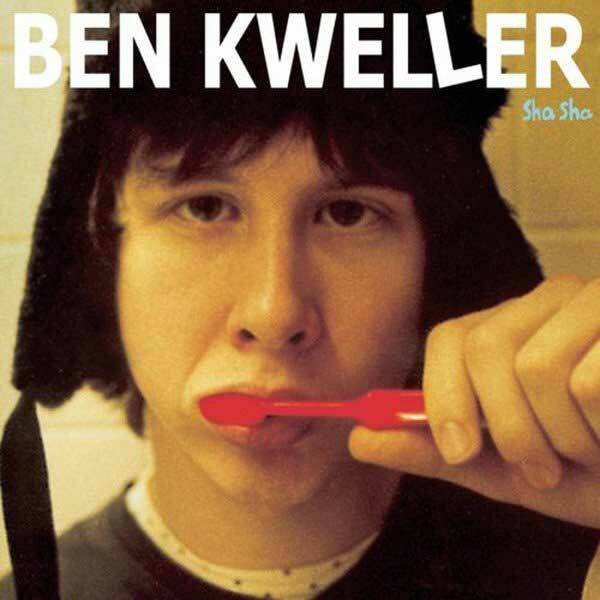 In the early 2000’s, he signed to another prominent label, ATO Records, and released three records; Sha Sha, On My Way, and Ben Kweller. Each was stylistically unique, never quite slotting him into a specific genre. And it was completely intentional. Album art for "Sha Sha"
Taking his independence a step further, Ben launched his own record label, The Noise Company, in 2011, which helped to get his fifth album, Go Fly A Kite, off the ground. The mission was straightforward: build a label that allows creatives like himself to pursue their artistic passions without sacrificing their own authenticity. Over the course of Ben’s two decades in the music space since ‘96, much has changed. The old way of marketing your music has made way for the web. Blitzing telephone poles with a staple gun and an arsenal of fliers will always be a tried and true way of getting the word out, but the move to .com’s signaled a big adjustment from the traditional methods that had existed for decades. The telephone pole is still important, though. Not for its wooden surface, but for the internet fiber it can hold. Since launching his first website in the early 2000’s, Ben’s experience marketing and selling his music online has been about as diverse as his musical styles. He’s worked with a variety of online platforms over the years, ranging from GoLive and a home-grown Drupal website, to a brief stint with Wordpress and, currently, Shopify. He’s been marketing and selling online since the worldwide web’s wee beginnings, and the benefits of a webpage were pretty clear from the get-go. By no means was it as sophisticated as we see nowadays, but it immediately showed the easy engagement and effective selling that were in store for online stores. Every coin made from a record sale has two sides - a creative one and a business one. While creative passion is essential to the music’s success, there’s another machine behind the music that requires just as much day-to-day entrepreneurial talent. These days, most music-craving consumers delight in the instant gratification of streaming and downloading tunes, but there will always be a market for the glossy sounds of a vinyl record. In addition to offering his music on streaming services, Ben has tapped into that hard-copy market. He sells his own physical records and merchandise directly to consumers - an opportunity that may not have been afforded to him had he been signed to a cost-controlling label. That said, an obvious hurdle involved, as any e-retailer knows, is getting product to the customer’s doorstep. For Ben, the solution aligned with his policy on music: do it exactly how you want to, the way you want to. All of The Noise Company’s fulfillment is done in-house. Its workers? Friends and family. Its storage facility? The garage. 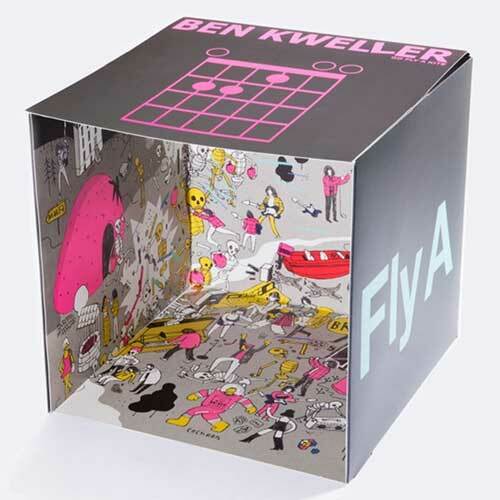 He receives orders through his website, www.benkweller.com, picks and packs them, slaps on a shipping label, and waves them goodbye. All self-reliance aside, getting by with a little help from your friends, whether they’re human or technological, is always useful. That’s where we come in - Ordoro’s shipping and inventory management app is a tool allowing e-retailers to efficiently handle their entire fulfillment operation. Ben’s enterprises aren’t restricted to tunes, either. On an unsurprisingly-hot summer’s day in Austin, Texas, he and his wife, Liz, purchased a circular horse trough, filled it up with water, and let their kids swim in it. After getting into the trough themselves, an idea bubbled up - why not turn this into a filtered swimming pool for urban dwellers with little space? It’s clear that independence and authenticity are at the core of Ben Kweller’s identity. Over the course of his journey so far, he’s had an assortment of roles and titles, from promising 15-year-old rock prodigy to business owner, label founder and patent-wielding parent. But those two principles have been integral to everything he does, most especially music. His mentors—artists like Neil Young, Kurt Cobain, and Bob Dylan—all crafted their music their own way on their own terms. Call it a nod to the independence of punk rock or a desire for control over his creative handiwork, Ben’s music, along with all of his other endeavors, will always be his own.